Epps will be joined on stage by some of the biggest names in comedy. 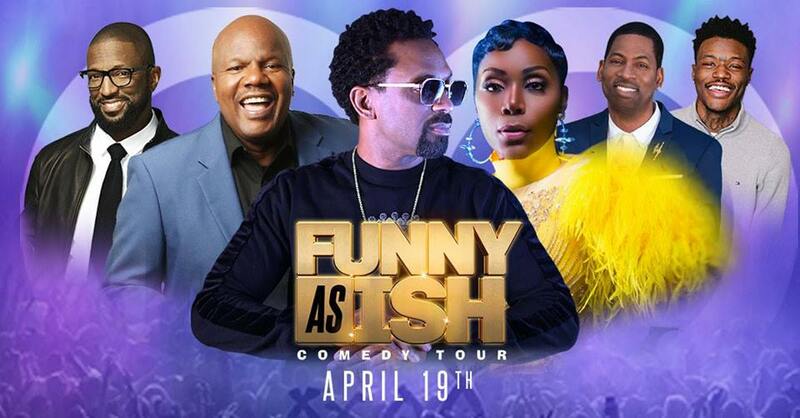 Award-winning comedienne of “Chandelier Status” and special guest host for the evening, Sommore, has been featured in a number of hit films including "Soul Plane," "Something New" and "Friday After Next." She recently filmed an all-new self-produced comedy special, "A Queen With No Spades" that will air later this fall on Showtime. Comedian, actor and voice-artist, Earthquake entered America’s households on the classic run of BET’s "Comic View" and HBO’s "Def Comedy Jam," and the special series, "One Night Stand." The “Comedian's Favorite Comedian" currently hosts his own daily show "Quake's House" on Kevin Hart's Laugh Out Loud Radio channel on SiriusXM. Funnyman Rickey Smiley is known for making millions laugh. As a much loved comedian, television host, and top rated nationally syndicated radio personality, Smiley has earned a reputation for delivering audience pleasing performances onstage or off. Tony Rock has proven to be one of television's best hosts having played the role of ringleader on HBO’s weekly stand-up comedy series “All Def Comedy,” NBA TV's “The Warm Up,” along with BET’s “Black Card Revoked” and “Apollo Live,” all while co-starring in his first primetime network series - CBS' “Living Biblically.” Performing stand-up comedy continues to be Tony’s first love and this year has proven no different. A comedian, actor, social media influencer, musician and podcast host, DC Young Fly has proven that innate comedic ability, abundant creativity, and a passion for generating laughter in others can be translated across multiple mediums. Originally having picked up traction for his hilarious videos on Vine, DC is a hands down fan-favorite amongst today’s generation, currently holding an overall deal with MTV/VH1. He is a veteran cast member of Nick Cannon’s “Wild ’N Out”, which is entering production for its 13th season, and has brought the humor to MTV’s “Total Request Live” as one of its main hosts.